President Larry Dietz congratulates a winter graduate in 2014. Congratulations! You’re about to join the proud ranks of Illinois State University alumni, nearly 200,000 strong and growing after the December 12 commencement ceremonies. But before you leave campus, the Alumni Association wants to leave you with some quick tips on how to fully take advantage of your new status as a Redbird alum. Be a part of the tradition and leave your legacy at Illinois State. Support the area of campus you are passionate about by making a gift of $20.15 in honor of your graduation. 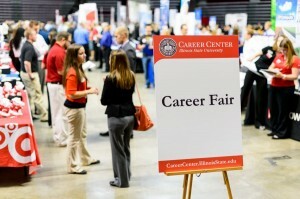 Pay it forward so future Redbirds can have the same great experiences you did. The Career Center hosts programs, career fairs and other events throughout the year to connect Illinois State students and alumni with employers and career development opportunities. Insured graduating students who will not be enrolled in classes during the following term may continue coverage for one additional term. Insured full-time students graduating in December are eligible to purchase spring coverage by applying through My.IllinoisState.edu until January 25, 2016. For more information on extending student insurance, contact Student Health Services. Do us a favor: Don’t let Homecoming be the only time you visit campus each year. (Homecoming 2016 is October 3–9, by the way.) Come back to visit anytime, and stop at the Alumni Center first to meet the Alumni Relations staff and get the latest info on campus events. Did you know your university email account will be discontinued six months after your graduation date? Illinois State offers an alumni email forwarding service that will automatically send all emails received to your ISU account on to your current address. This allows you to keep the same email address, no matter how often you may change providers. Here’s how to set it up. 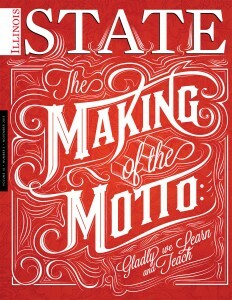 The cover of the current issue of Illinois State’s alumni magazine. 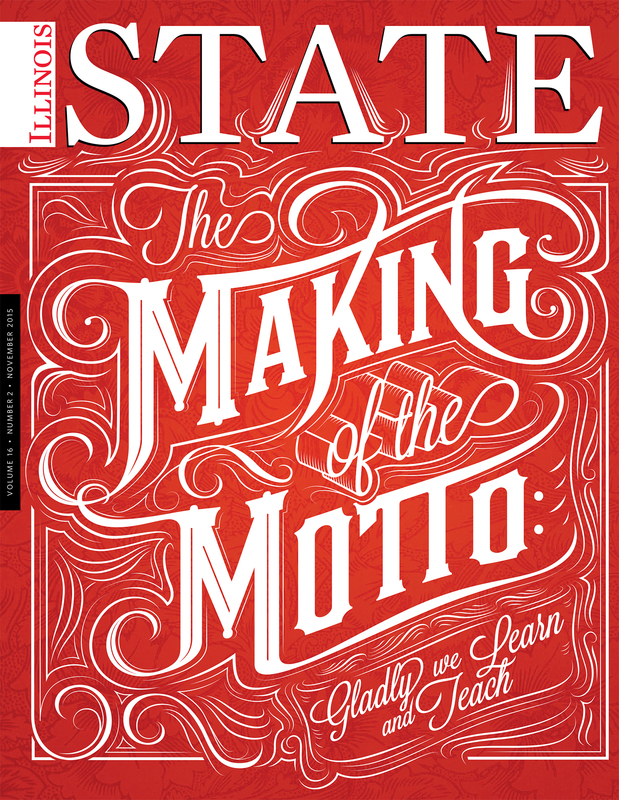 Good news: As an alum, you’re officially a subscriber to the award-winning quarterly alumni magazine, Illinois State. Next issue comes out in February, but we can’t mail it unless we have your new address. Update your contact information today and we’ll get you on the magazine mailing list.